Johnny Sexton is always an emotional player and he couldn't hide his feelings when dealing with the referee in Ireland's dramatic 20-16 third test win over Australia. The victory clinches a historic test series win over the Wallabies, with Sexton's late penalty giving Ireland a crucial gap down the stretch. 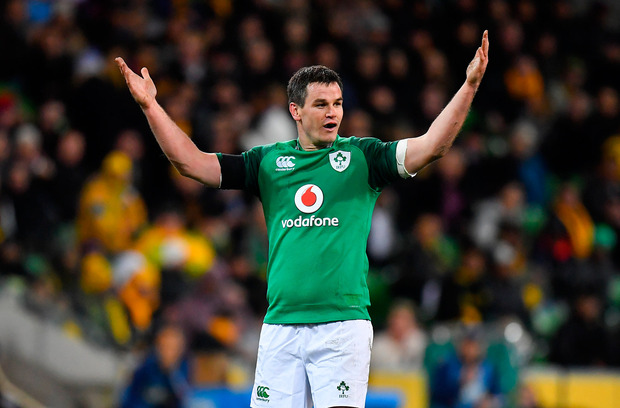 The influential out-half was forced to take over the captaincy after an injury to Peter O'Mahony, and he had one memorable exhance with Pascal Gaüzère. Sexton approached the French official to remonstrate over a decision, and was heard on the ref's microphone saying: "I know you hate me but you have to talk to me." The out-half was crucial in Ireland's win, landing five out of six kicks in another stellar display.